With your support and donations, you will helps us to distribute more kennels, food and blankets to less fortunate dogs in township areas. 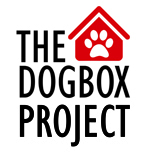 The DogBox Project started off in 2012 as a Mandela Day Initiative but has become an ongoing project due to popular demand. The more donations we receive, the more events we can fund and the more life’s we will be able to change. Keep an eye on our Facebook page and website so see when/where the next event will be held. All the kennels that will be completed in this project will be distributed into less fortunate communities, where the living conditions of animals are far from perfect. With your assistance and participation, we will be able to change the lives of so many dogs that will now be able to be warm and dry in the winter but also cool in the hot summer.